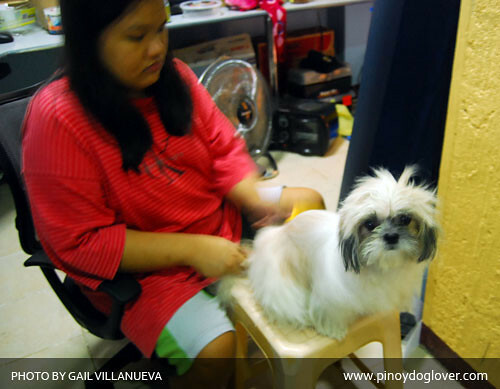 But thanks to my younger sister Joyce, we were able to continue Shantee’s FURminator regimen. She started Shantee with the FURminator deShedding Dog Treats (separate post on this soon, Shantee simply adores the treats! ), and began using the deShedding Shampoo and deShedding Solution in place of her usual Alpo 2-in-1 Shampoo and Conditioner for her weekly baths. Ever since Joyce started using the deShedding Tool on Shantee, we noticed that she does shed less than before. And I’m not just saying that. As I have said, stress had been triggering my asthma lately. And that also meant I was a bit more sensitive to loose dog hairs and dust as I was before. Because of this, my husband Marc helped me do a total general cleaning of the house—getting rid of loose dog hairs and dust as much as possible. Normally, Shantee’s loose hair already start to gather up in corners of the house about two weeks after a general cleaning. But ever since my sister and I have been giving Shantee the FURminator treats and using the bath solutions and tool, there were noticeably less loose dog hairs around. 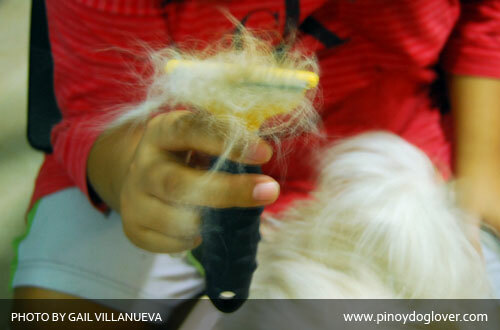 Based on the FURminator fact sheet I got, the deShedding Tool is actually designed to remove undercoat and loose hair in dogs, reducing shedding up to 90% and releases the dog’s natural oils. And I think it really does as it said it would. Aside from less shedding (this really helps a lot, I’ve been recovering better lately too), Shantee’s hair has been pretty soft and shiny for the past weeks. She usually has soft and shiny coat after a day at the groomer’s, and her fur wouldn’t be like that again until her next bath or next grooming session. 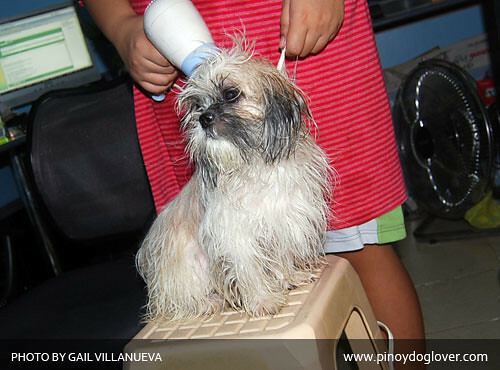 But with FURminator, Shantee’s coat remained soft and shiny even when she’s already due for a bath. Overall, I’m very pleased with how the FURminator regimen has been going. Though Shantee will still continue on having the regimen, my sister and I are also going to start on our mom’s dog, Patatats. My mom saw the effect of FURminator on Shantee, so she requested we have her dog treated instead of Harry for our testing of the products on a medium-haired dog. This entry was posted on Wednesday, December 3rd, 2008 at 11:13 am	and is filed under Pet Care. You can follow any responses to this entry through the RSS 2.0 feed.